Manipal University Architecture admissions are offered on the basis of the score obtained in NATA or JEE Main Paper 2 score. Manipal provides Laptops to the students. At Manipal Campus, the B.Arch course is offered by Faculty of Architecture whereas in Manipal University Jaipur it is offered by School of Architecture & Design (SA&D). Latest Update: The application process for the admission to BArch Course at Manipal University has been started. Class 12: The applicant must have cleared class 12 examinations from any recognised board with Mathematics and English as a compulsory subject. Diploma: The applicant must have cleared 10+3 full-time diploma from an AICTE/Central/State recognised institute with Mathematics and English as compulsory subjects. 'A' level students need to have a minimum of 3 subjects or 4 subjects in 'AS' level. NATA Score: Candidate must have obtained at least 40% marks i.e. 80 marks out of 200 in NATA 2019. 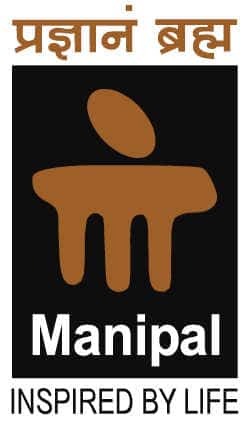 In order to get admission in Manipal University, candidates need to apply Online at the official website Admissions are offered on the basis of Merit List prepared on the basis of the marks obtained in NATA and Class 12. The last date to apply online for the Manipal BArch Admission is 31 May 2018. The duly filled in application form has to be submitted ONLINE Only. But the candidates are required to send the photocopy of their Class 12/diploma marks card and NATA score card before the due date to Manipal University. Admissions are done by the marks obtained in the qualifying examination and the All India National Aptitude Test in Architecture (NATA) conducted by Council of Architecture (CoA). The final seat allotment is done based on the candidate's Manipal rank which is calculated based on class 12 marks and NATA/JEE score. The students who score a decent rank will be called for Manipal B.Arch counselling and the student will have to be present at the counselling venue. There is no provision for online counselling.